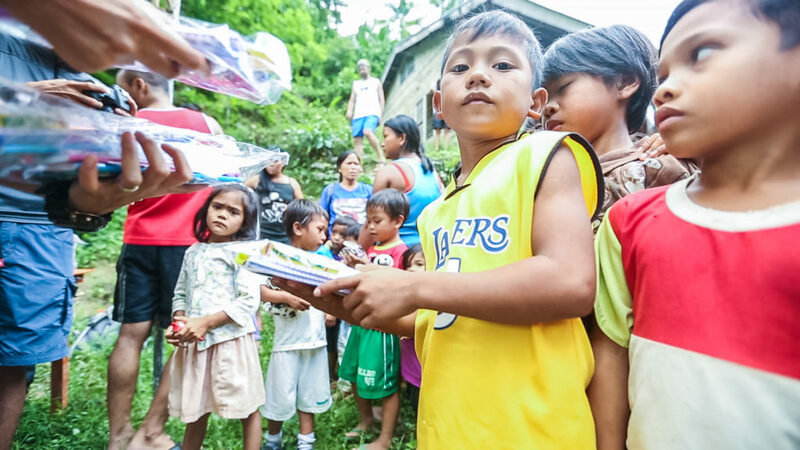 For our most recent Community Impact Project, I (Devon Higgins) was lucky enough to be over in the Philippines with our team to help bring school supplies to the children of the Sitio Malingin School. 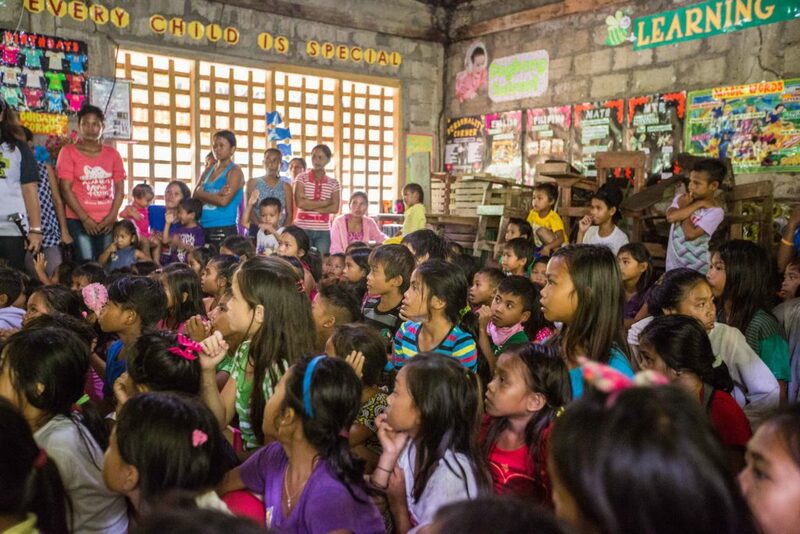 The school was located in Balamban which was about an hour long ride from our office in the heart of Cebu, all the way out to the tropical mountains in the outskirts of the city. Upon arriving at our drop off point, myself and 40 other PhotoUp employees loaded up boxes of books, pencils, erasers, crayons and other school supplies for the children of the school. The PhotoUp team had spent time earlier in the week purchasing, organizing, and packing all of the individual packets for each and every one of the 135 children who attended the school regularly. We left the jeeps and began our 2 hour hike into the mountains en route to the remote school of Sitio Malingin. After a strenuous 2 hour hike through the mountains, we had arrived at the school which was located in a valley and nestled up next to a small river. The school enrolls at least 135 kids ranging from ages 2 to 15. 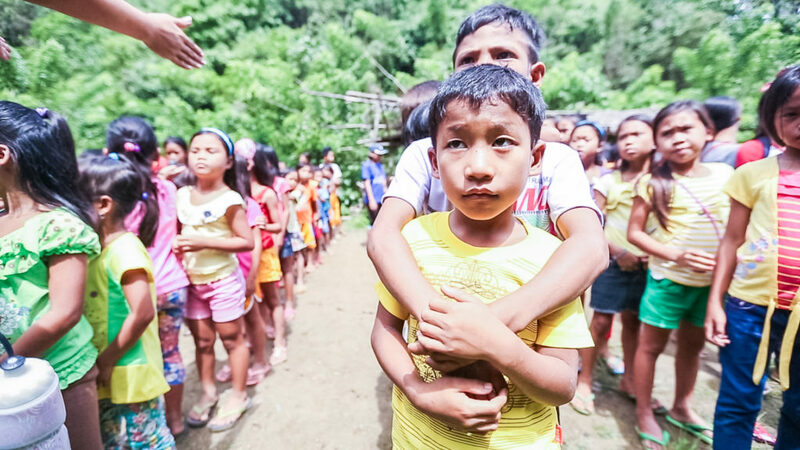 When we arrived however, we we met by the at least 200 kids, the school’s headmaster and at least 20 other volunteers from a fellow impact organization in Cebu called the Cebu Outdoor Adventure Team (C.O.A.T.). The members of C.O.A.T. had already began preparing a meal for the the students as we arrived, ate lunch and got settled. C.O.A.T. 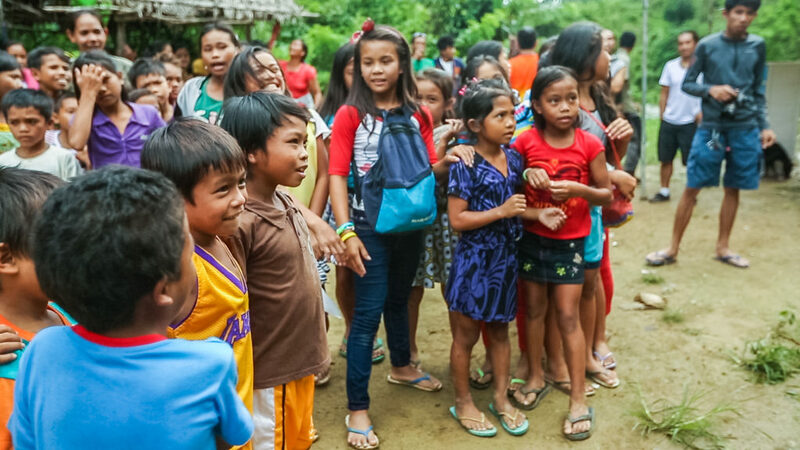 had worked with the Sitio Malingin School in the past, however they always had to make two trips in order to bring out all of the food and supplies that the school needed. After eating a quick meal and settling in, the children and their family members were gathered into the main classroom where the members from C.O.A.T. had the kids answer questions in order to receive some stuffed animal prizes. After the educational games were done, Tolits (Graveyard Shift Manager at PhotoUp) brought all of the kids outside for some more interactive games in the front of the school. The kids worked up an appetite after all of the games and they got one last treat (hot dogs and marshmellows) before receiving their school supplies from the PhotoUp team. All of the students lined up by grade and were given a bundle of supplies based on their age and grade level. It was incredibly touching to be able to see how happy the kids were to be getting these supplies. It was also inspiring to see the leaders of our team being able to give back to these kids and see just how much of an impact they were making on others lives. “You do not meet people by accident. We started this back to school project annually for 5 years in a row. Since then we have seen the priceless happiness we give and get by doing it. 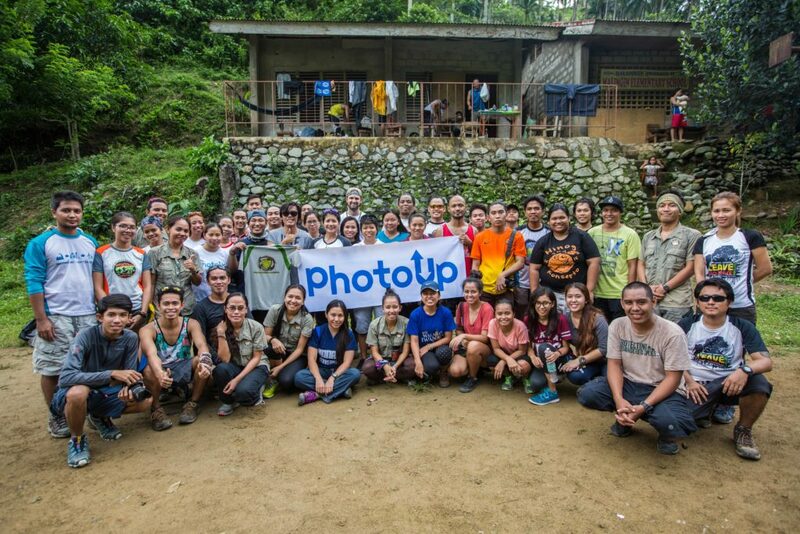 We, the COAT family are forever thankful that we were able to team up with PhotoUp and finally have a partner with the same passion as we do “to help” and “to bring out genuine happiness from little kids and their families.” – Cebu Outdoor Adventure TeamI was personally impressed by the amount of selflessness and leadership that were shows by each and every one of our PhotoUp leaders and the members of the C.O.A.T. organization. 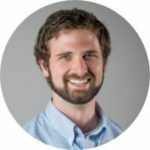 It was an honor and a privilege to be able to be a part of such an amazing project that was organized, led, and carried out by some of the most inspiring people I’ve had the opportunity to work with. 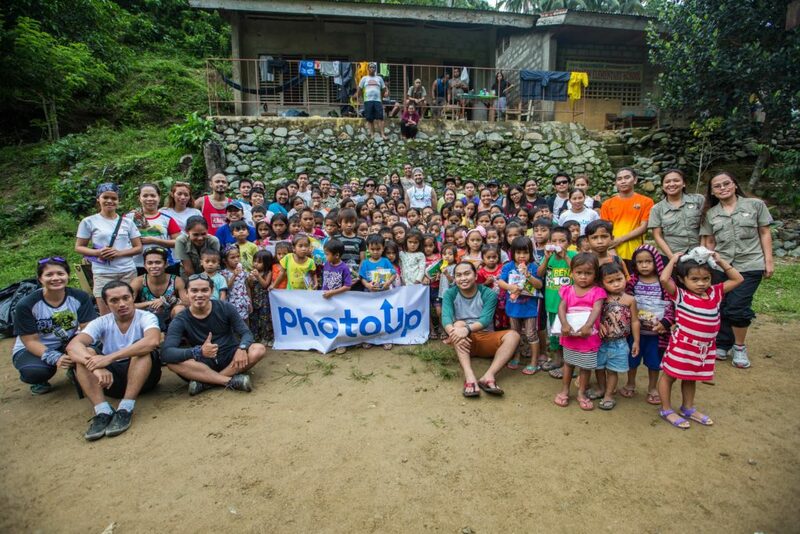 I cannot wait to be able to get back to the Cebu again to join our team on another one of these incredibly impactful Community Impact Projects.